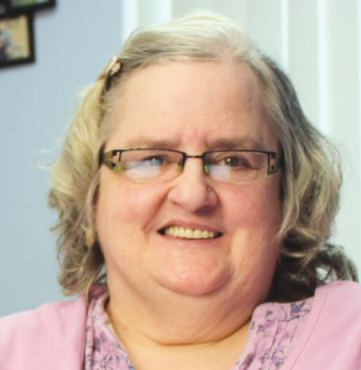 Darlene Franklin is both a resident of a nursing home in Moore, and a full-time writer. I ran a red light without realizing it, and oh, what consequences I’ve suffered. Everyone knows it’s dangerous to look at the sun. I didn’t know the dimness of my room in the nursing home where I live would turn me into a bat, ill equipped to handle bright sunshine. Light, long my friend, has become my enemy. I fell in love with light as a child, relishing the long summer days where the sun shone late into the night. I lived in Maine, where the sun rises earlier than anywhere else in the United States, and I took advantage of the release from winter’s doldrums. That changed when I moved into a nursing home, with only my window to mark the passing hours. I rarely go outside, but one day I decided to record a radio interview in the backyard. My aides set me up under a spacious tree at midsummer. As soon as I rolled into the bright sunshine, I went blind. Unlike when I was younger, the lens of my eyes failed to adapt to the additional light. As long as I was outside, a white haze replaced the words and pictures on my computer screen. I started having problems when I was indoors as well. The doctor said it was a consequence of growing older. The more I thought about it, I decided it also came from the eyestrain of constantly looking at a computer. I earned my vision problems with every passing year. How many days have I passed with the white-faced monster as my constant companion? The dark confines of my room have only made it worse. If I heard reports about potential eye strain, I ignored them, a self-made victim of the “it won’t happen to me” syndrome. I didn’t just ignore those reports, I also misread God’s traffic signs. Instead of paying attention when flashing lights warned me to “slow down,” I continued full speed ahead. When the color turned red, I stopped writing—but remained on the computer to read or chat with friends. My computer consumption turned into an obsession with unexpected consequences. A series of disasters kept slowing me down. Computer files disappeared. A false heart attack alarm sent me to the hospital for three days. My computer crashed, and then I struggled with the learning curve on the new machine. In response, I worked harder. My computer remained on all hours of the day or night, because I saw no alternative between a full stop and work. I knew God didn’t want me to quit writing. Somehow my present weakness would showcase God’s strength. After much mourning, meditation, and messing around, I realized the simplicity of the solution. Just pay attention to God’s stoplights. Perhaps because I’d spent a dozen years mostly writing with a red light, I cherish the green lights. And lately, God has blessed me. I’ve committed to paid writing opportunities over the next year, as well as my monthly column. God showed me that didn’t mean I should write without ceasing. I tend to say “yes” when asked to write something, even for free. Instead I should pause to consider the warning signs and proceed with caution. Sometimes I should refuse altogether. I’ve also learned to limit time spent on my computer. I set a timer for an hour and focus on writing. When the alarm goes off, I close the computer for fifteen minutes. There’s plenty of writing, pre-writing, planning, and researching I can do without my computer. Sometimes I even write longhand as I did at first, while riding a bus to work. Red lights are the hardest for me to put into practice. When my brain turns to mush, I no longer fight my need to rest. My goal is to stay off the computer all day Sunday. The Lord’s my work and my rest that day. The funny thing is, when I pay attention to God’s traffic lights, I get more done than ever. SENIOR TALK: If you could be any kind of animal, what would you be and why?